The Health Clinic was the first and is the most experienced in the field of bariatric surgery in Estonia, beginning the service for private customers in 2009. Severe overweight can lower self-esteem, does seriously impair health and life quality, plus significantly reduces the lifespan of a person. We have brought together the top specialists and solutions of the field to offer our clients the best and most advanced steps towards a healthier, improved quality and longer life. Bariatric surgery can help prevent or treat a vast range of diseases connected with obesity. Dr. 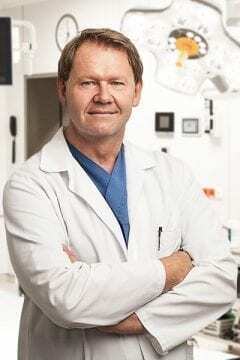 Rein Adamson is among the first surgeons who started performing bariatric surgeries in Estonia in 2004. It started when he organised a bariatric surgery specialist from abroad to come to Estonia and perform the very first bariatric operation in the country with Dr. Adamson himself assisting that doctor. Dr. Adamson has been a part of The Health Clinic’s team since the very first days. 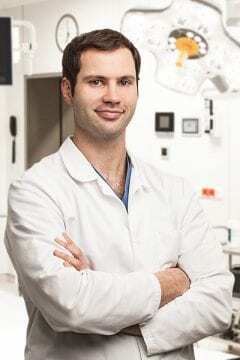 In addition to bariatric surgery, Dr. Adamson is one of the most experienced Post-Bariatric Surgeons in Estonia. Loose and excessive skin in the stomach, upper arms and thighs’ area, that is formed due to vast weight-loss is tightened with post-bariatric surgery. One of the most experienced Bariatric Surgeons in Estonia. Has individually performed over 1000 bariatric surgeries. Over 14 years of experience with different types of bariatric surgeries. Only surgeon in Estonia who regularly performs all six major bariatric surgeries (gastric bypass, mini-gastric bypass, gastric sleeve, gastric plication, gastric band and gastric balloon). Long-standing experience in performing bariatric surgeries in the biggest hospitals in Estonia (East-Tallinn Central Hospital, North Estonia Medical Centre, the private hospital of Fertilitas). In addition, bariatric surgeries at The Health Clinic are performed by dr. Martin Adamson, who together with his father, dr. Rein Adamson, has carried out bariatric surgeries since 2011. Today dr. Martin Adamson has achieved a profound knowledge on the field of bariatric surgery, he is a versatile specialist, specializing in weight loss surgery and reconstructions of the abdominal wall, oriented towards safe surgery and achieving the best functional and aesthetic results. Every bariatric surgery that is done via The Health Clinic also includes a consultation and follow-up care by our Bariatric Nurse/Nutrition Specialist Anni Laas who makes sure that our patients get a thorough and long-term support on their weight-loss journey including useful tips on nutrition and general lifestyle changes. 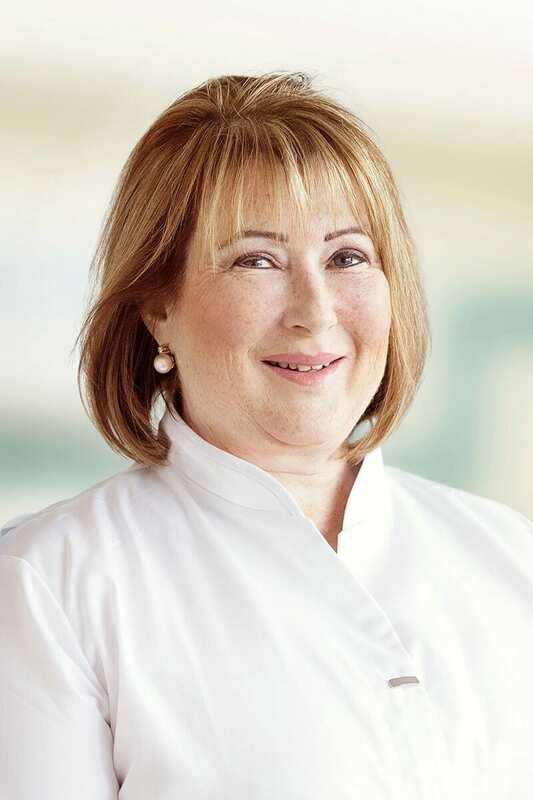 Anni is one of the most experienced Nutrition Specialists for obesity in Estonia and her constant self-development and cooperation with other experts makes her one of the most adequate specialists in consulting patients who have undergone bariatric surgery. Anni consults our patients face-to-face at the hospital after surgery and regularly via e-mail for a whole year if needed. There is no time limit for how long our patients can consult with Anni, but in practice some patients need aftercare instructions for up to 5 years. After bariatric surgery it is expected to feel a little insecure about the future since a different lifestyle lies ahead. We want our patients to feel reassured and supported also when they have left from under our care at the hospital and are back home adjusting to their new lives. Therefore we have a Specialist Bariatric Nurse Judith Jobling in the United Kingdom calling our patients regularly in the first month after surgery to monitor their recovery. Judith gives professional support and advice to each patient and since she has had bariatric surgery herself, she can be of true help and counsel. She is also a Laparoscopic Gastric Band Adjuster so all our gastric band patients can have their band fitted in a network of clinics all over the United Kingdom where Judith has her appointments. Regular band adjustments are vital to the success of the band. She guides each patient in a friendly way to achieve each person’s weight loss target whilst maintaining a healthy lifestyle. 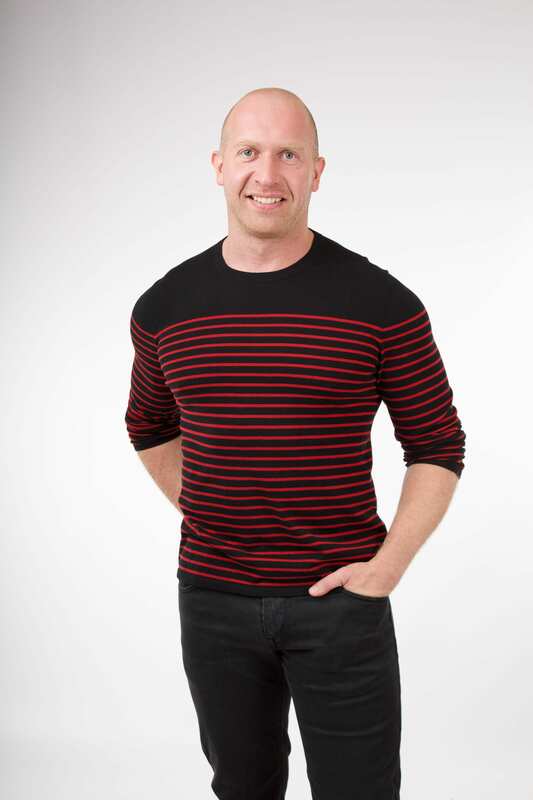 The Health Clinics’ team also includes the unique competence of a Dietitian and Physical Activity Consultant, Erik Orgu, who has developed a menu specially for people having undergone bariatric surgery which sets out the appropriate serving sizes (ca 200 ml), the correct ratio of nutrients and of course delicious recipes. Every patient gets a nutrition guide for 3 stages after surgery and it also includes 30 recipes. The Health Clinic has performed bariatric surgery since 2009 and our experience shows that the biggest concern for patients after the operation is everything related with nutrition. Patients understand the correct ratio of nutrients but find it troublesome turning this into a tasty meal. This problem has now been overcome by the recipes of Erik Orgu who is also a Certified Chef. We believe that our programme together with the best specialists, individual solutions and a thorough surveillance and counselling system ensures our patients with significant and long lasting results, plus also improves their quality of life. There are a set of requirements to be considered for bariatric surgery. First of all your body mass index (BMI) must be over 29 to be considered for the gastric balloon; and 30 or higher, with other serious health conditions taken into account that are associated with obesity, for the gastric band, gastric plication, gastric sleeve and gastric bypass. BMI is calculated by dividing an individual’s body weight in kilograms with the individual’s height squared in meters. It is still recommended that all patients try to lose weight before the operation using conservative methods such as monitoring weight, physical exercise etc. Surgery is used when the above methods have failed to produce the expected results. Bariatric surgery is only effective if you make the changes necessary in terms of your lifestyle and eating habits to ensure that the weight stays off. So it is very important that you are serious about it and understand the implications of having surgery. Click on the procedure links below to find out about your options or alternatively you can write us an e-mail at: clinic@thehealthclinic.eu. We evaluate the patient’s physical condition to see if they’re a suitable candidate for bariatric surgery. We will find the best procedure for the patient in order to achieve the best end result possible. We will explain everything concerning the operation so the patient can make a well-thought-out decision about the surgery. Once you are settled in the hospital, you will meet the Surgeon in person. After the surgery in the hospital. Follow-up for up to 5 years. Professional support and advice by a local person in the United Kingdom who has also gone through the journey of bariatric surgery herself. All transfers between the airport/hotel and the hospital. Our dedicated Patient Coordinators will be greeting all patients at the airport on arrival to Estonia. The hotel is located just a short walk from the hospital. Single bed in a twin room. Private room is available for additional cost (70€ per night). Surgery in the private hospital of Fertilitas or East-Tallinn Central Hospital. 1-5 nights are spent in the hospital (depending on the procedure). Free stay and treatment for the extra nights in the unlikely case of complications. Discharge summary in English for your GP back home. All postoperative complications are treated for free during the patients’ stay in the hospital. Also for late complications if they come back to Tallinn (late complications rate is about 10% of all complications). Every patient will have their own personal Patient Coordinator available to them at all times. Dietary instructions according to the procedure. Sample menus and portion sizes (for 3 different stages after the surgery). Special recipes after bariatric surgery. Regular check-ups with the operating Surgeon during hospital stay. Support via e-mail and phone with Bariatric Nurse/Nutrition Specialist for 5 years after surgery. Special discount prices for post-bariatric plastic operations after the weight loss (abdominoplasty, upper arm lift, thigh lift, breast lift). Why choose The Health Clinic? The most experienced bariatric team in Estonia. The most comprehensive bariatric treatment and care package. Didn’t find an answer to Your question? Call us at +372 6000 925, use our contact form or send us an e-mail at clinic@thehealthclinic.eu.